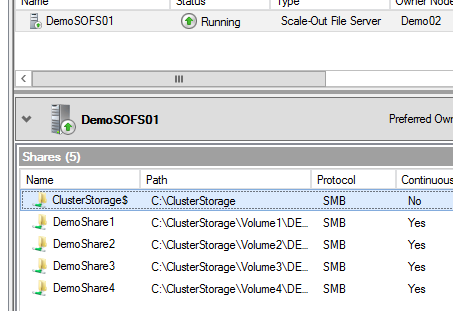 Windows Server 2012 R2 Scale-Out File Server Clusters thoughts. 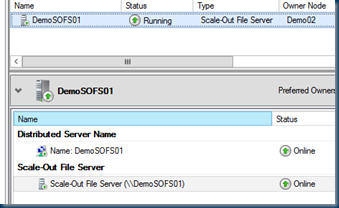 In the Windows server 2012 R2 you can build a Scale-out file server. 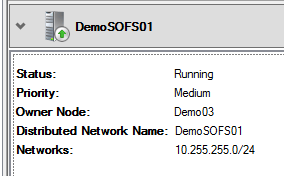 And Microsoft does only support up to 8 nodes per file server cluster ! Keep this in mind. 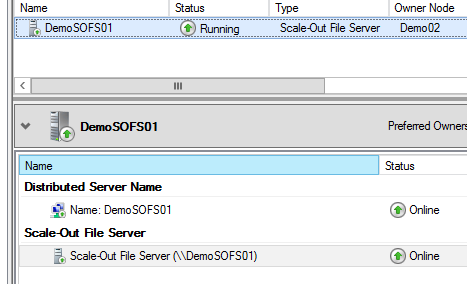 Below Is a small brain dump of my SOFS and not completely out off the box ( demo usage only ) There are already somany blog post about how to setup a SOFS so I skip this here and give you only the reminders on what to think about if you do Next ,Next, Close. 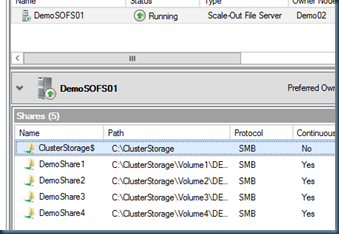 Cluster Shared Volumes (CSVs) for storage. My cluster is in a healthy state. A 64 node cluster with Several shares . All seems fine to me and no problems I can connect to the share so no problems here . 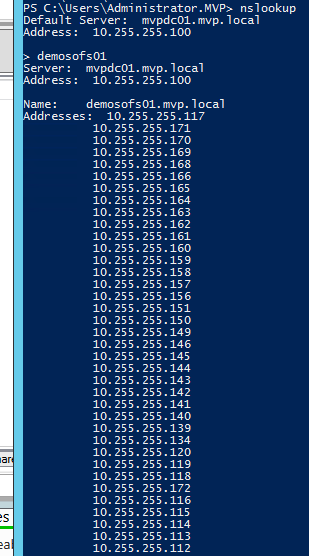 But as you can see there is no Specific IP address Given to the Scale-out File server So How does it connect ? 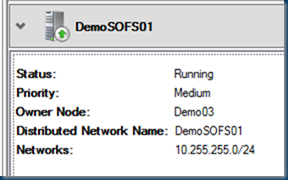 Eh on the name \DemoSOFS01demoshare1 that is right but what IP is given to the DemoSOFS01 ? 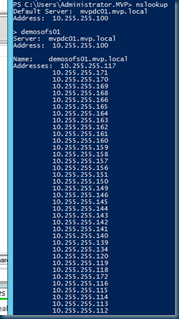 yes the node address from every node. 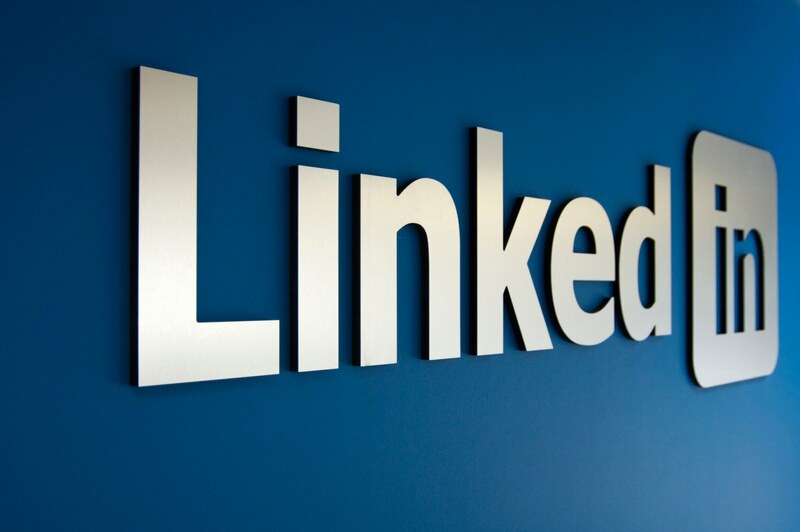 Some testing with SQLIO on the SMB share. 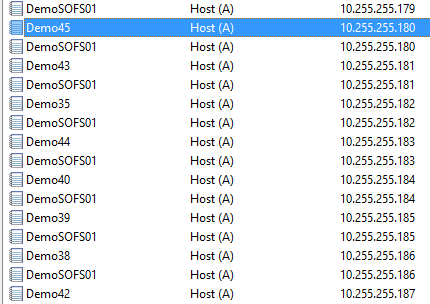 So keep in mind that when you setup a Cluster and create a scale-out file server with more than 8 nodes you will see a lot of connections and my flood your network/storage. Every node is connecting ! If you’re interested in learning more about the scalability of the file server clusters and review the results of our Hyper-V over SMB test using an 8-node Scale-Out file server cluster for storage, check this TechEd presentation: http://channel9.msdn.com/Events/TechEd/NorthAmerica/2012/WSV410. If you’re interested in learning more about the performance of the file server, I would recommend reviewing our TechEd presentation on the Hyper-V over SMB scenario. 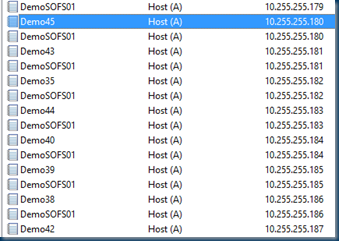 It includes some of our latest performance numbers: http://channel9.msdn.com/Events/TechEd/NorthAmerica/2013/MDC-B335. If you want to look closer into the upgrade scenario using the Copy Cluster Roles Wizard, you can review this TechEd presentation: http://channel9.msdn.com/Events/TechEd/NorthAmerica/2013/MDC-B331.